Did You Spot The Electric Jaguar E-Type At The Royal Wedding? The Queen’s original 1950 Rolls-Royce Phantom IV also made an appearance. Love it or hate it, it’s been impossible to avoid media coverage of the Royal Wedding. The event was watched by over a billion people around the world. But even if you weren’t interested in watching Prince Harry and Meghan Markle tie the knot, there were some special cars on display. To make a grand entrance, the Duchess of Sussex was chauffeured in a 1950 Rolls-Royce Phantom IV – the same car that was made for Queen Elizabeth II back when she was still Princess Elizabeth. 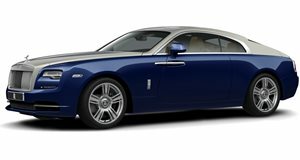 It’s also the first Rolls-Royce that Queen Elizabeth II and Prince Philip ever owned. Production of the Phantom IV was limited to just 18 examples between 1950 and 1956, though Rolls-Royce only made them for those it considered worthy like the royal family and heads of state. Only 16 are currently known to exist, with the remaining 15 residing in museums and public and private collections. After the service at Windsor Castle, Prince Harry and Meghan used an to drive to the reception hosted by Prince Charles. The EV was revealed last year, but will have gained a lot more exposure at the Royal Wedding. Based on a 1968 Series 1.5 Roadster, the E-Type has been fully restored and converted into an electric sports car by Jaguar Land Rover Classic. It’s an incredible feat of engineering, retaining the same weight distribution as the original. It’s also 100 lbs lighter so it should still handle like the original car too. 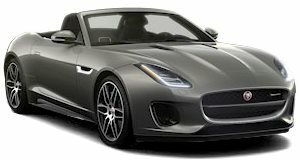 Replacing Jaguar’s famous six-cylinder XK engine is a bespoke electric powertrain developing 220 kW of power enabling the electric E-Type to hit 0-62 mph in 5.5 seconds, making it faster than the original. It has a range of 170-miles, which was more than enough to whisk the couple away from Windsor Castle to their reception at Frogmore House. If you want one, the Jaguar E-Type Zero costs around $470,000. Mini also made a , but unlike the Phantom IV and E-Type Zero it didn't make a public appearance. Instead, it will be sold at an upcoming charity auction.